Hello, energy. Hello, humming metabolism. Hello, glowing skin. Hello, strong bones. Hello, healthy hair. Hello, powerful immune function. 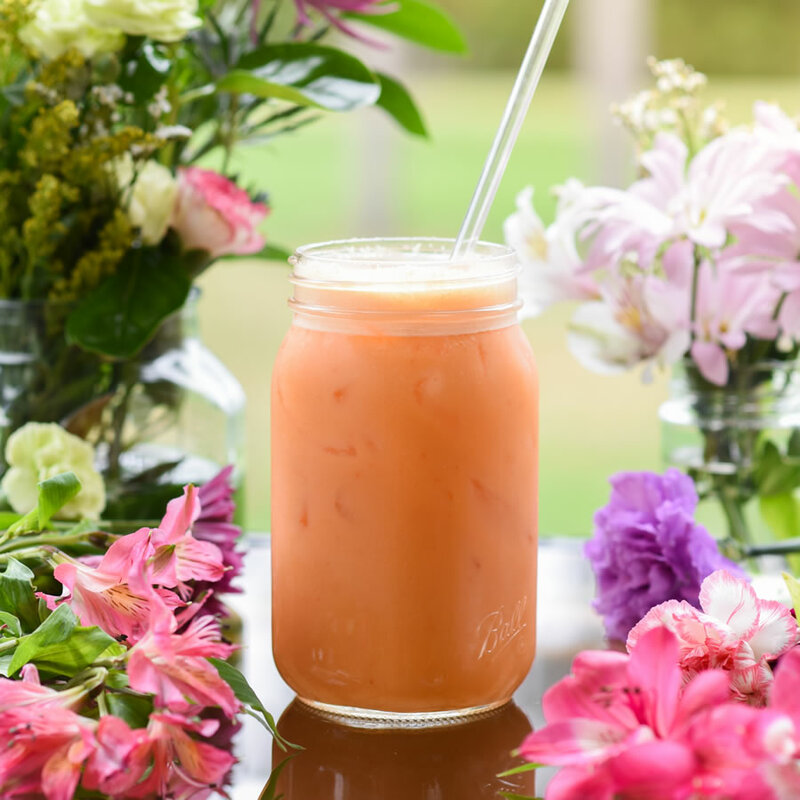 Hello, Health Sipper! Welcome our new all-day sipper to the stage. Yippee! The star of our new all-day sipper is a superfood powder made from the pulp of the baobab fruit. When paired with its co-star red capsicum, you have a vitamin C powerhouse drink to help slim you down! Be sure to read more about all the wonderful health and weight loss benefits in the "Slimming Sips" section of Trim Healthy Table on pages 452 and 453. Place the gelatin in a 1-cup measuring cup. Add the cool water and stir until dissolved, then add the boiled water and stir. Fill the measuring cup with enough cool water to come to 1 cup and place in the blender. Now fill the measuring cup with 1 more cup cold water and add to the blender. Blend for a few seconds. Add all the remaining ingredients and blend on high until all is creamy and the peppers are completely broken down. Pour this concentrate into a quart jar. Fill to the top with ice, add water only if needed to reach the top, and stir well. Taste and adjust the flavors to “own it” and sip your health into renewal.